A pneumonectomy and extrapleural pneumonectomy are curative surgical procedures meant to treat malignant pleural mesothelioma. Pneumonectomy could greatly improve prognosis for pleural mesothelioma patients. There are strict requirements a candidate must meet to be eligible for either surgery. Both surgeries can provide many benefits for malignant mesothelioma patients. Both surgeries involve risks, complications and a potentially lengthy recovery period. A pneumonectomy is an aggressive treatment for malignant mesothelioma that entails the removal of a lung. A more extensive procedure, the extrapleural pneumonectomy, entails the removal of a lung, as well as the linings of the lungs, heart and diaphragm, to remove as much of the cancerous tissue as possible. Malignant pleural mesothelioma manifests in the pleura, or the linings of the lung. While there is no cure for this cancer, there are surgical procedures that can help improve prognosis and extend life expectancy for select diagnosed patients, including a pneumonectomy or extrapleural pneumonectomy (EPP). Both surgical procedures are aggressive, leaving the patient with just one lung, though the EPP is the more aggressive of the two. With both thoracic surgeries, patients typically must travel to a cancer center to receive experienced care from a mesothelioma specialist. Not all patients are eligible for these procedures, and they must meet certain criteria. Patients may not be eligible for these surgeries if they are in the late stages of their diagnosis, experiencing poor lung function or if the cancer has metastasized to other areas of the body, such as other organs and the lymph nodes. Good lung and heart function are crucial, as removal of an entire lung will increase the load on both the heart and the remaining lung. Surgery candidates also need to be in good overall health to withstand the demands of major surgery and the healing it will require. General anesthesia is administered, typically through an epidural catheter in the spinal area. Blood pressure, cardiac function and oxygen levels are monitored throughout the surgery through various devices. Surgery is performed through an incision in the chest (thoracotomy) over the affected lung; all or part of a rib is removed to increase visibility and access. The diseased lung is collapsed, and attached blood vessels and the bronchus are cut and tied off. The lung is then removed through the incision site, and the cavity is carefully examined and drained with tubes prior to closing the incision. After surgery, patients transition through the post-anesthesia care unit and intensive care unit, with a ventilator and drainage tubs to assist breathing and remove excess fluid. Medications are administered to relieve pain, and prevent blood clots and infections. Once the patient can breathe without a ventilator, he or she is moved out of the ICU to a monitored hospital room. The patient will likely undergo one or more forms of physical therapy with the goal of walking around, regaining strength, and maximizing function in the remaining lung. Patients can expect to be in the hospital for up to two weeks after the pneumonectomy procedure, however, full recovery may take several months. An incision is made at the front chest or the side to access the chest cavity, allowing the thoracic surgeon to visually inspect the cavity for cancerous tissue. Any visible cancer is removed, including the entire diseased lung, the pleural lining of the chest and heart, and part(s) of the diaphragm. Post-surgery care is provided to allow the patient to recover, along with additional supports such as pain medication to assist recovery. Recovery from the surgery usually requires a two-week hospital stay, during which a health care team monitors the patient’s recovery and watches for possible complications. Full recovery takes an additional 6 to 8 weeks. Mesothelioma is a complicated disease with a very poor prognosis, and patients must be aware of the potential risks that may occur when undergoing an invasive surgery. Ultimately, complications must be discussed with the patient’s doctor to determine viability. However, there are some general risks and complications that can be considered, including those below. Shortness of breath, adverse reactions to medications, bleeding, infection, unusual fluid buildup, pus accumulation or blood accumulation, abnormal heart rhythms, heart attacks, postpneumonectomy scoliosis and postpneumonectomy syndrome. Internal bleeding, respiratory failure, pneumonia, infection, blood clotting, death, potential for recurrence. About 6 or 7 out of every one hundred patients who receive extrapleural pneumonectomy die during or immediately following the operation. Survival is further increased if the surgery is combined with chemotherapy and radiation therapy. It is important to note that long-term survival benefits that come from reducing tumor burden through pneumonectomy may be diminished by short-term surgical complications. Therefore, to achieve the maximum possible benefit from pneumonectomy, the first 30 days after the procedure are critical and require close medical observation and care. 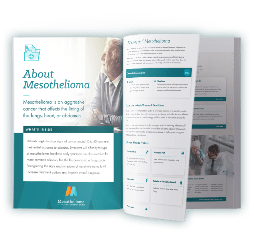 Ultimately, patients must discuss their mesothelioma treatment options with their medical care team to determine whether or not they are candidates for an EPP or pneumonectomy procedure. Another procedure known as pleurectomy/decortication surgery may be an even better option for the patient turning to surgical management of their disease. For some mesothelioma patients, these treatment options can greatly improve their quality of life and improve their prognosis, if outweighing potential risks and complications. 1 Flores RM, Pass HI, Seshan VE, et al. Extrapleural pneumonectomy versus pleurectomy/decortication in the surgical management of malignant pleural mesothelioma: Results in 663 patients. The Journal of Thoracic and Cardiovascular Surgery. March 2008;135(3):620-626.e3. doi:10.1016/j.jtcvs.2007.10.054. 2 Matsuo Y, Shibuya K, Okubo K, et al. Long-term outcomes of intensity-modulated radiotherapy following extra-pleural pneumonectomy for malignant pleural mesothelioma. Acta Oncologica. January 24, 2017;56(7):957-962. doi:10.1080/0284186X.2017.1279749. 3 Rusch VW, Piantadosi S and Holmes EC. The role of extrapleural pneumonectomy in malignant pleural mesothelioma. A Lung Cancer Study Group trial. The Journal of Thoracic and Cardiovascular Surgery. July 1, 1991;102(1):1-9. 4 Verma V, Ahern CA, Berlind CG, et al. National Cancer Database Report on Pneumonectomy Versus Lung-Sparing Surgery for Malignant Pleural Mesothelioma. Journal of Thoracic Oncology. November 2017;12(11):1704-1714.